There are multiple reasons for my dislike of short story compilations, not the least of which is the structure of the stories themselves. See below for the handy-dandy diagram! I imagine most of you have seen something like this before. 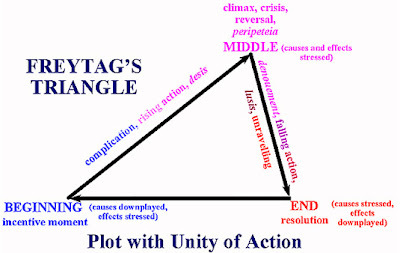 It’s called Freytag’s triangle, and it illustrates the elements of plot as they happen in most stories. There’s the exposition (characters are introduced, the plot gets rolling, etc. ), rising action (things start to heat up), climax (the action/conflict is brought to a boil), denouement (the temperature is cranked down), and the final resolution. It’s worked this way since the days of classical Greek drama, though more attention was given to the denouement in those days, with the climax generally occurring in the middle of the play. The classical Freytag’s Triangle doesn’t look like a pyramid built by a bunch of drunk Egyptians. What you see in the chart above is a more accurate representation of modern fiction, but it still serves as a great illustration of why short stories pose such an aggravation for me. In the “rising action” portion of the plot line, the pace of the narrative slowly picks up, as does the pace at which the audience reads (because they get excited about what’ll happen next). I don’t know about the rest of you out there, but my reading speed is greatly dependent upon this buildup. 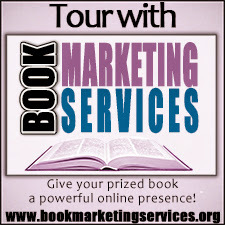 I read slower as I’m getting into the book and pick up steam as the action escalates. But imagine doing that over and over again inside of a 300 page book and you’ll start to understand my frustration. Oh, and then there’s the fact that most of the time in short stories, that triangle of Freytag’s is really just a huge honkin’ cliff. Climax, bam, done, and we start over again. So that constant speeding up and slowing down really cramps my style and makes it seem like it’s taking forever to get through the book. Mostly because it is. And then there are other complications. Take, for instance, one of my recent reads, Ray Bradbury’s Long After Midnight. 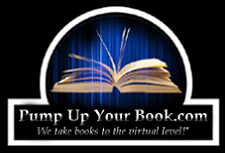 As is with most anthologies, not all short stories included in the collection are created equally. Some of them are mind-bogglingly good. Some of them make your eyes cross with the sheer pointlessness of them. You would think that, being such a world-renowned writer, even Ray Bradbury’s worst stories should still be tolerable. And you would be wrong. What I found out after the fact is that Long After Midnight was the literary equivalent of a “New Jersey Turnpike.” Don’t know what that is? It’s number 4 on this list of the 17 worst shots ever created. Read, laugh, and be disgusted. 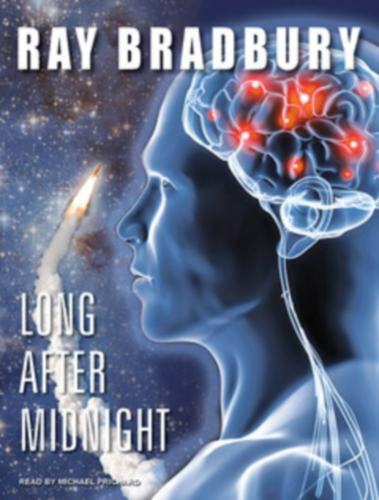 Anyhow, the creation of Long After Midnight went down something like this: by 1976 Bradbury had 16 short story anthologies to his credit, but in the publication of those works there were a few stories that got left out of the mix. Either they didn’t fit with the overall milieu of the collection or there wasn’t enough room for another story or they just weren’t good enough. Take your pick. Some enterprising publishing exec (or, who knows, maybe even Bradbury himself) decided that all these derelict needed to have a home of their own, so they mopped them up with the proverbial bar rag and squeezed them into a shot glass, slapped the label Long After Midnight onto the side, and sent it out to the masses for public consumption. Therefore, none of the stories make sense with one other. Given the cover of the book, I was also expecting a sci-fi anthology. I mean, look at it! Who wouldn’t be expecting a heady rush of mind-expanding sci-fi goodness if they saw that cover? But in reality, only a third of the stories included were even tangentially related to science fiction. Far more prevalent were the tales of young love and friendship and old love and family—you know, uninteresting crap. I’m kidding, of course. Those are all worthwhile subjects for fiction; it’s just that the reversal of expectations was extremely off-putting. It’s kind of like putting a video in the VCR that you thought was Saving Private Ryan and finding out someone had taped it over with Fried Green Tomatoes—both good movies in their own rights, but for totally different reasons that appeal to totally different tastes. Now imagine that the recording of Fried Green Tomatoes has been spliced with alternating snippets and vignettes cut from a Lifetime movie, and you’ll have a fair approximation of what reading Long After Midnight was like. Overall, I give the book three out of five stars. The only—and I repeat, only—reason it didn’t get two stars was because of the few stories that genuinely took my breath away. Brilliance lurks within Long After Midnight. You just have to wade through a lot of trash to get there—not unlike the real New Jersey Turnpike, if you think about it. With that cover I would be expecting sci-fi, too. I don't read many short story anthologies, but the only ones I really liked were Agatha Christie and Sherlock Holmes. Yeah, I've found that short story anthologies with the same principle character are generally pretty good. The Sherlock Holmes stories are some of my favorites. Oh, and Trouble Is My Business by Raymond Chandler and The Continental Op by Dashiell Hammett. Where have you been, btw? It's been a month or two since your last post. I missed hearing from you. I have read some books by Chandler and Hammet, but not those. Having the same characters can be an advantage: you don't need as much characterization as usual because you already know the characters. There was something wrong with the computer and it didn't want to load some pages (blogger included). I've had two exams in February so I didn't get the chance to see what was wrong until recently and I didn't want to pay for someone to fix it if I could do it myself. Pyramids built by drunk Egyptians! Oh man, you had me on the floor, laughing. You should read "The Illustrated Man" by Ray Bradbury, and perhaps you will change your mind about short-story anthologies! It reads like a novel.. seeing different facets of people in the same world, but it feels so much more connected than that. Also, you keep saying "Thank you for stopping by" which makes me want to say, "You stay classy, San Diego." Ha. Resting bag liners are thin bags bravesites.com/ that go inside your sleeping bag like a sheet on a bed. Some simply Check This Out avoid the bag from getting the Ideal Blenders for Smoothies: Ninja vs Vitamix dust and oils off your skin. As your child grows via the readymag.com/ very first few months, you commit Title all your time as well as attention Best Baby Walkers in 2017 to it. And then in the next stage. Get your lover back urgent effective love spell to win and get ex back my advise reveal you all to contact Dr Ogudugu for a genuine love spell on greatogudugu@gmail.com that work fast. here is my relationship story. my boyfriend told me it was over and walk away without any reasons, I was confuse and didn't know what to do. I was desperate, I want him back, I went over the internet looking for ways to get my boyfriend back. I read about many different ways of how to get ex back, but Dr Ogudugu caught my attention. I immediately contacted him and explained my problem to him. It was amazing and surprising that 11hrs after the urgent love spell was cast, my boyfriend called me and was begging me to forgive him and accept him back, Couldn't believe, but later after he came to my house and fell on his knees asking me to take him back am so happy that my love is back again. I am testifying on this forum just to let people know that Dr Ogudugu is real and genuine. don't hesitate to try him out. thank you Dr Ogudugu you are truly talented and gifted genuine spell caster. Contact him now if you need your girlfriend/boyfriend back or your girlfriend moved on to another man, do not cry anymore .. Dr Ogudugu is here to help out in relationship problem coz problem share is problem solve.